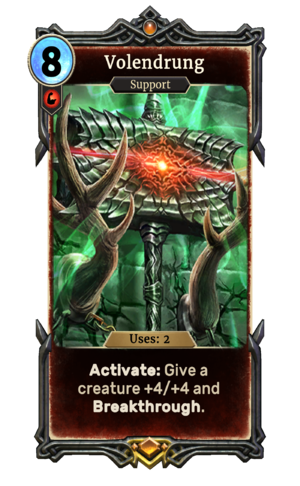 Volendrung is a unique legendary Strength support card. It is part of the Core Set. This card's activation applies the Hand of Malacath card effect. Volendrung is the Daedric artifact of Malacath. The card has a unique animation, in which Volendrung is shown.